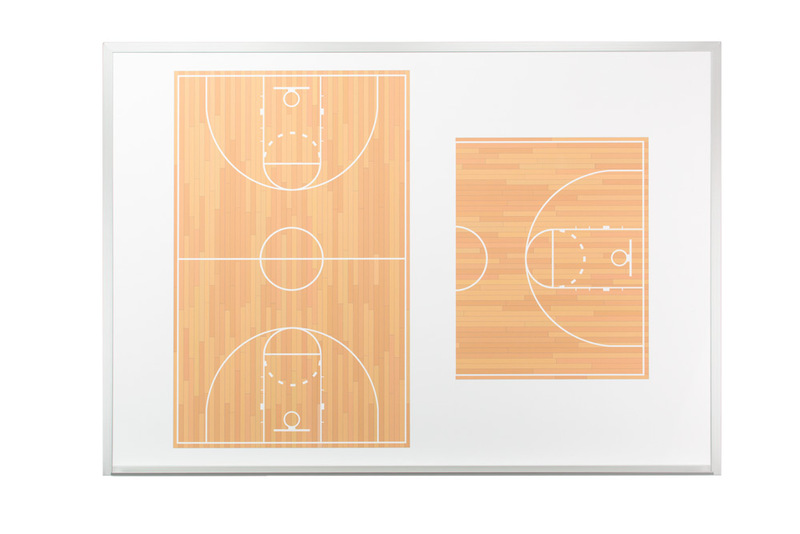 OptiMA's wall mounted magnetic basketball dry erase boards. 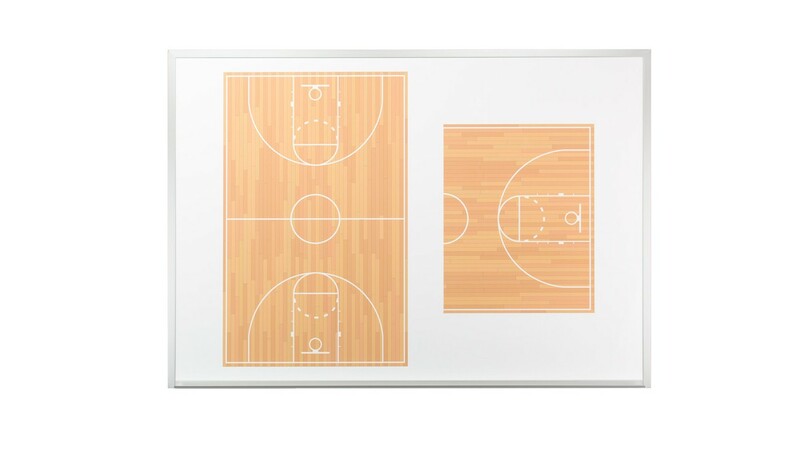 The perfect magnetic dry erase board for any basketball coach and locker room. 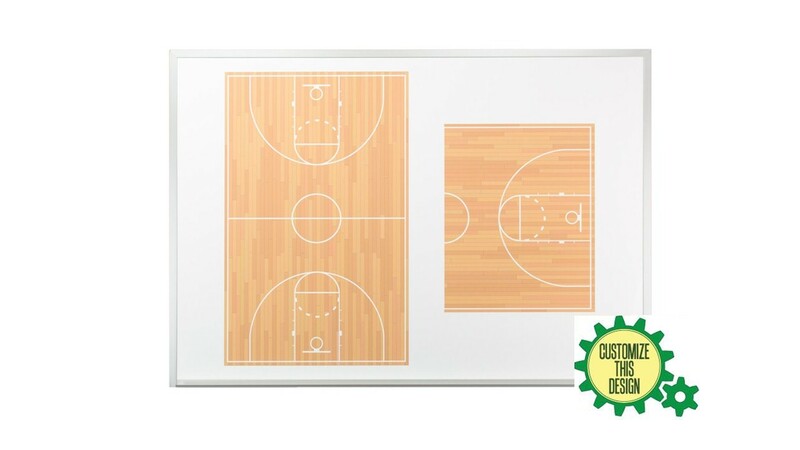 The larger magnetic receptive dry erase boards have crisp clean images of both full court and half court and there are all kinds of magnetic accessories available to use with your board. 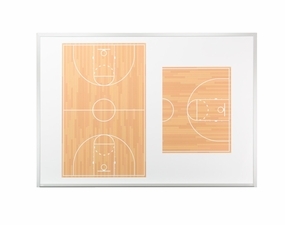 These OptiMA Graphic printed boards are perfect for locker rooms. Whether you're in the NBA, college or a high school every team needs plays and a clear strategy. Now you can clearly diagram plays and teach strategy with two separate images. There's a full-court image on the left and a larger blow up of a half court on the right. 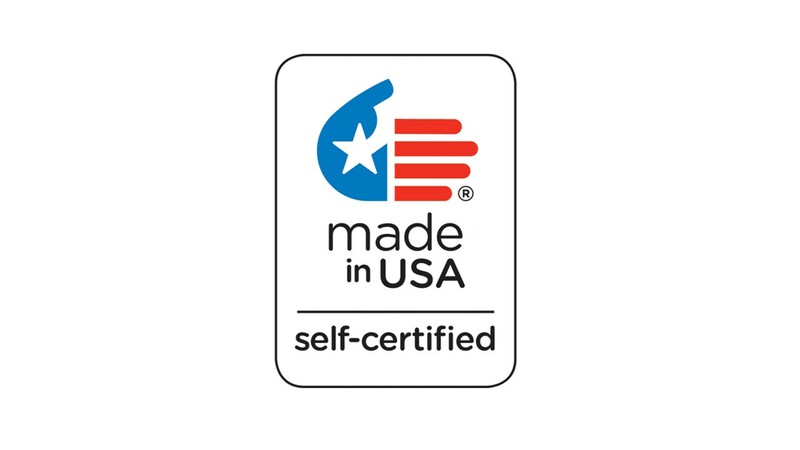 Our wall mounted basketball dry erase boards are made in the U.S.A. and they can be customized to your specifications through customer service for a small fee. 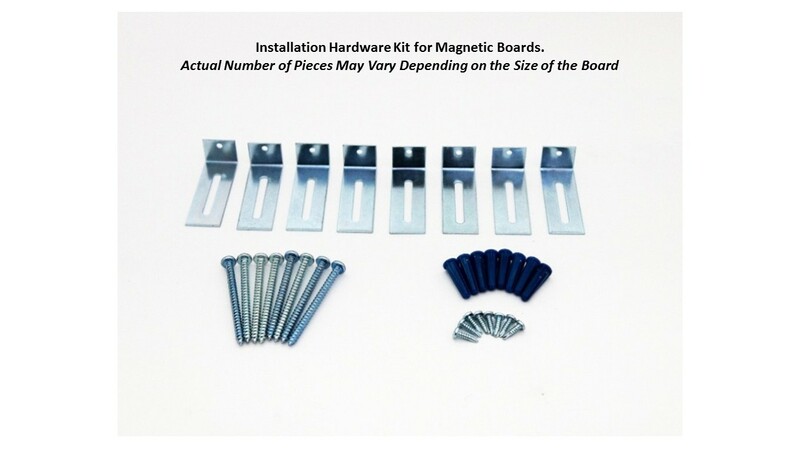 School purchase orders are always accepted. Wall Mounted Basketball Board UPS* 25 lbs. Always Use A Quality Dry Erase Marker And Wipe Your Board Clean at the End of the Day..